Overtime – Manage. Track. Reduce. 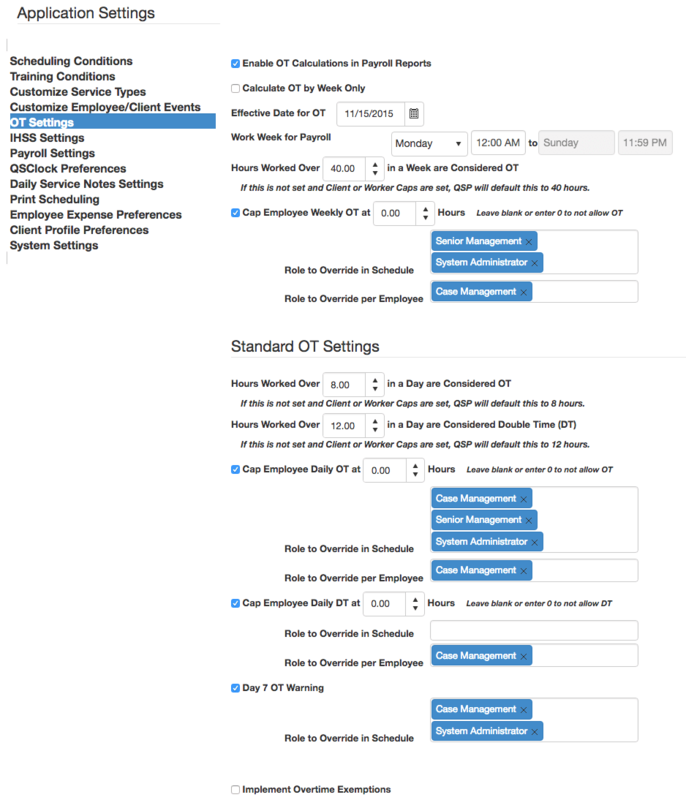 No matter how you track overtime, our overtime settings allow you to customize overtime the way you want. Are you co-employers with IHSS? We have options for you too. Managing overtime can be hard. Throw in staff who work in multiple homes, with clients that may have multiple Regional Center authorization codes, and claim IHSS too and managing overtime just got even harder! While we appreciate employees getting paid a fair wage, we also understand that home and community based programs in California may need additional tools to accommodate the recently effective Fair Labor Standards Act Home Care Rule. Take a look at some of the tools we have designed to help reduce your overtime exposure. Want to see these overtime tools in a live, personal demo? Connect with us so we can setup a time to show you more!